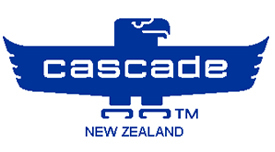 Cascade NZ is the New Zealand arm of a multinational, leading the world in quality material handling products for lift trucks. We're looking for a mechanically minded Fitter / Welder / Fabricator to join our team in East Tamaki. This is a role with variety, your daily tasks will involve fabricating as well as repairing machinery and building attachments. We will be moving into larger premises later in the year, therefore there will be opportunities to develop your career. If you have the skills and experience required, please apply now! (Q2) Do you have a current New Zealand drivers licence?